Traveler Reviews for Private Tour in Florence, Tuscany, Italy by Tour Guide Laura G.
About Laura G. Message Laura G.
Laura was extremely professional, flexible, and knowledgeable with a delightful personality. She was able to customize our tour and adjust along the way. We look forward to securing her services again when we are lucky enough to be in Florence. Laura was so knowledgeable about the subject of Jewish history and current life in Florence. 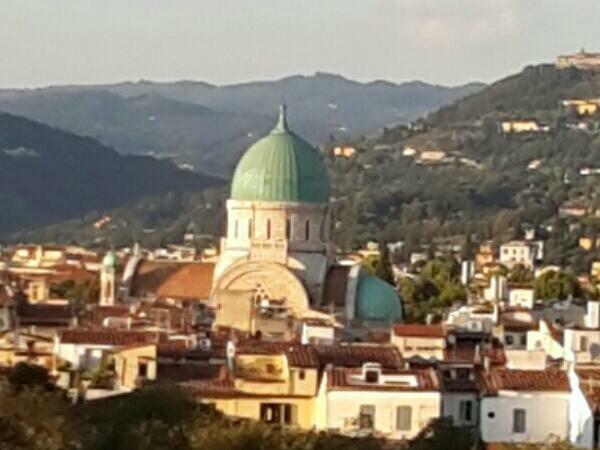 We enjoyed her personality immensely and had a wonderful and thorough tour of the beautiful Florence synagogue. Laura was an amazing tour guide. She covered everything we wanted and customized the tour to include as much as possible. She helped make the most of our short one day stay in Florence. Laura is an excellent and knowledgeable tour guide who gave us a wonderful tour of Florence. She gave us a lot of new information and took us to areas that we had not seen before. She expertly coordinated our driver so that he was exactly where he needed to be when we were through with several segments of our walking tour. I would highly recommend Laura for any tours that you might want to take in Florence. She is an expert on Jewish history and kept our teenagers and us engaged throughout the tour. Laura is a fantastic, knowledgable, lovely guide whose tour far exceeded our expectations. Laura was a true delight and provided such a wealth of information on our Jewish tour that really made a special day and memory for my daughter and me. We couldn't have been more pleased. I wish we had more free days so we could have booked more tours with Laura. I have no hesitation in highly recommending her and hope to return to Florence before long and book another of her tours. Knowledgeable and well thought through four given the limited time available to us.